Although descending down from larger working sled dogs, the Alaskan Klee Kai was specifically bred and has always been kept as a companion. Klee Kai means ‘little dog’ in native Inuit. 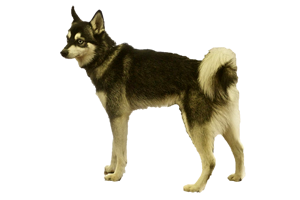 The Alaskan Klee Kai was developed in the 1970s by Linda Spurlin of Alaska. She desired a smaller ‘apartment-sized’ companion that still resembled the northern breeds. Original crosses included the Alaskan Malamute, Siberian Husky, Schipperke and American Eskimo, the latter two were used to help reduce their size. Is the Alaskan Klee Kai Right for You?